123 species were identified this year (just beating last year's total, by one). Most of the 'uncommon' species appeared at least once, although notable absentees included Common Cuckoo, Common Sandpiper, Eurasian Snipe, Marsh Warbler and Cirl Bunting. 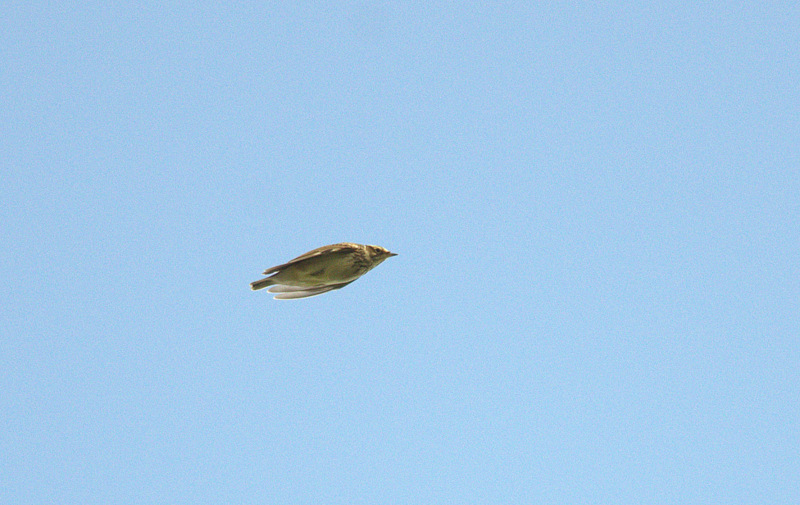 The highlight of 2014 was the observation of an Olive-backed Pipit in early October. A real rarity, especially inland, this was the first record for the Ile-de France region. Another species (Eurasian Whimbrel) was added to the park bird list during the year. Other highlights included the third record of Northern Pintail, further sightings of both Little and Great Egrets, a singing Sedge Warbler in spring and the second autumn record of Golden Oriole. During spring and autumn a total of 372 hours of "skywatching" was made, an increase of 20% on 2013. 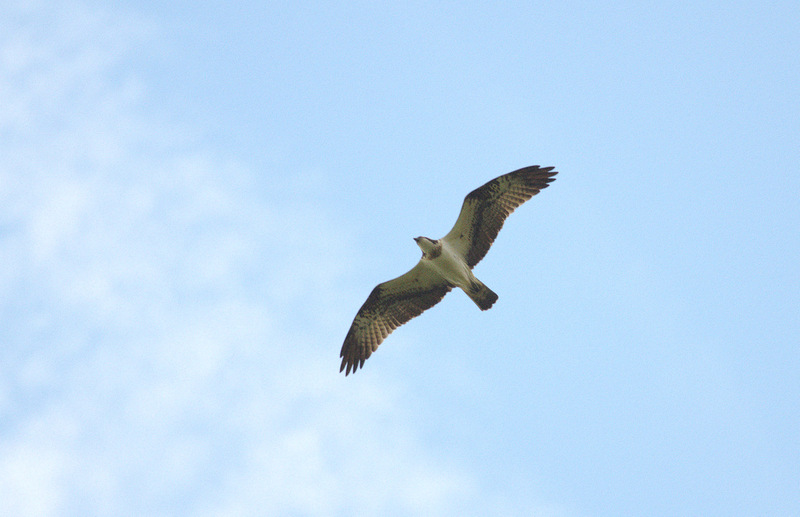 However, in spite of the increased coverage, 13% fewer migrating larger raptors were observed (184 individuals). Noted twice in winter : 2, 11th January – 2, 28th January. 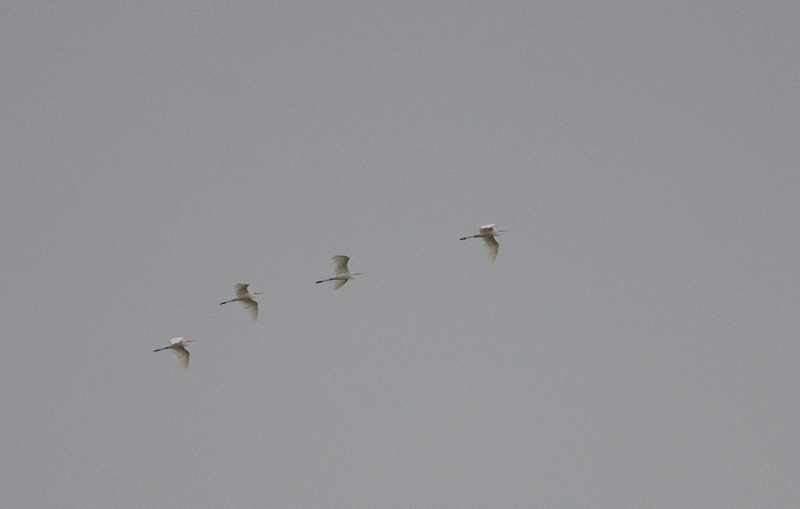 Recorded in spring from 2nd February to 25th May, the first significant flock (35 birds) appearing on 6th March [AL]. Daily maximum of 77 on 9th March. Noted in autumn from 3rd August, the first southbound flock passing on 28th August [DT]. Recorded regularly up to 21st November with a maximum of 104 on 24th October. Single birds observed infrequently and irregularly on site throughout the year, either fishing at the Mare Perchée or perched in the surrounding trees. Apparently absent in summer; no records from 22nd May – 9th September. Unlike previous years rather rare on site, most observations concerning 1-3 individuals flying over the park, occasionally at great altitude and apparently on migration (for example 2 southwest on 9th September [DT]). Recorded twice in late autumn. 1, 12th October [DT] - 4, 23rd October [AL/DT]. C.albus has now been recorded for three consecutive years, perhaps unsurprising considering its expansion in northern Europe. 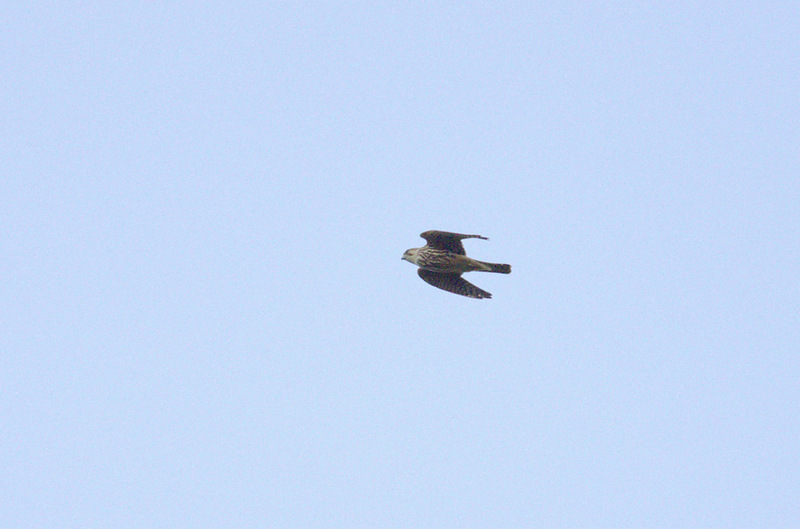 The birds (probably juveniles) flew rather low to the north early in the morning. 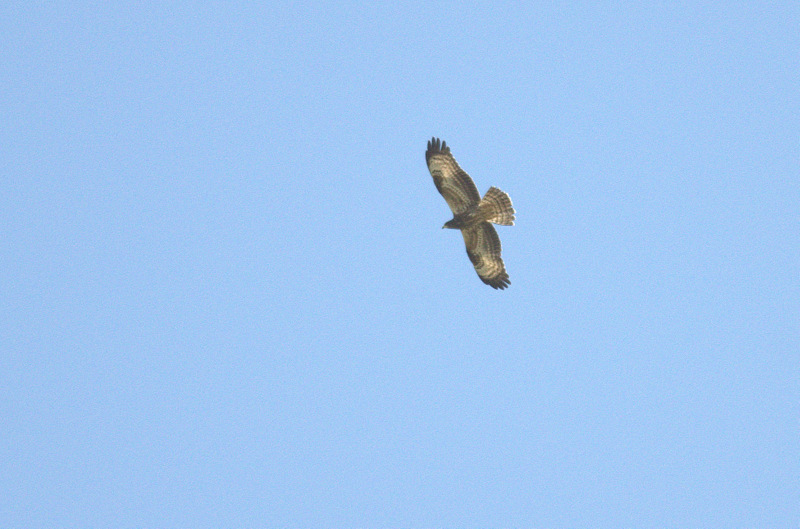 Observed migrating over the park on 8 dates (4 in spring and 4 in autumn). 1, 23rd February [DT] - 2, 9th March [DT] - 2, 5th April [AL/PR/DT] - 4, 24th May [DT]. 3, 9th August [PR/DT] - 2, 31st August [DT/PR] - 7, 11th October [SX/DT] - 1, 19th October [DT]. 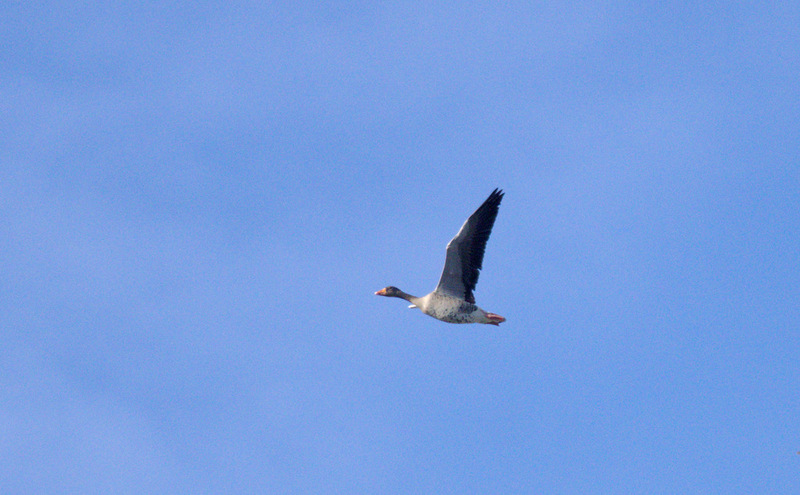 Observed migrating over the park on 3 dates (1 in spring and 2 in autumn). 1, 23rd August [DT] - 1, 7th September [SO/PR/DT]. The birds were seen flying northwest, early in the morning. Observed migrating over the park on 6 dates (2 in spring and 4 in autumn). 25, 16th February [PR/DT] - c50, 22nd February [DT]. 3, 19th October [DT] - 8, 23rd October [AL/DT] - 16, 29th October [PR] - 1, 11th November [DT]. Observed flying overhead on 7 dates. 2, 15th & 22nd May [DT]. On each occasion the birds flew around the Mare Perchée before departing away towards the nearby Chateau de Vincennes (where a pair can be regularly seen). Rare migrant. One observation in early spring. The birds flew north in the middle of the afternoon. Rarely seen on migration in Ile-de-France it is interesting to note the observation of 60 birds at Coteau de Tréchy the following day*. 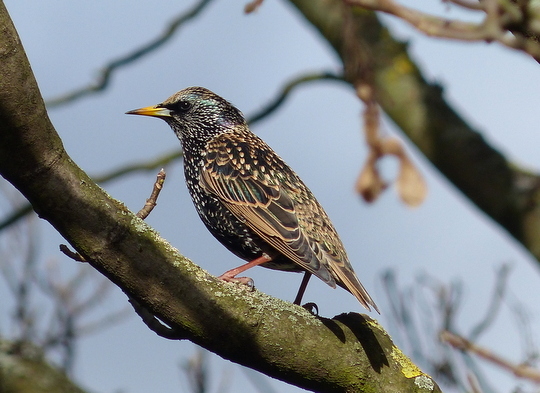 1-6 birds observed irregularly throughout the year, although present mainly between mid-January and the end of May. A pair was settled at the Mare Perchée by the end of March and copulation observed on 16th May [DT]. However breeding attempts in spring were once again unsuccessful, most probably due to the irresponsibility of dog-walkers allowing dogs to run around freely and to enter the water. The absence of any authority on site to enforce park rules is detrimental to this species (which has somehow managed to breed successfully twice in recent years). Apparently absent in summer (recorded just once between 25th May – 27th August). A pair noted at daybreak at the Mare Perchée at the end of August was probably roosting on site at this period. Almost absent during the last four months of the year; 2 birds noted flying east on 10th November [PR]. 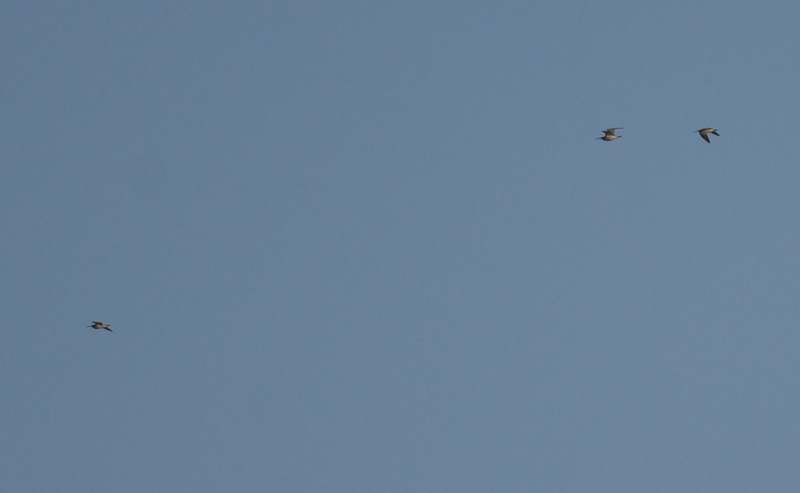 Recorded migrating over the park on 5 dates (3 in spring and 2 in autumn). 1, 13th April [PR/DT] - 1, 18th April [DT] - 1, 20th April [DT]. 1, 31st August [PR/DT] - 1, 6th September [SO/PR/DT]. Observed migrating over the park on 2 dates (1 in spring and 1 in autumn). Observed on 6 dates (4 in spring and 2 in autumn). 1, 6th April [DT] - 3, 20th April [PR/DT] - 2, 21st April [DT] - 1, 23rd May [DT]. 2, 27th July [PR] - 1, 1st August [PR]. A poor year compared to 2013 : recorded flying over the park on 11 dates (3 in spring and 8 in autumn). At least 21 birds are involved. 4, 29th March - 1, 13th April - 1, 7th May. 1, 21st August - 2, 29th August - 3, 31st August - 1, 1st September - 4, 7th September - 1, 9th September - 1, 12th September - 2, 21st September. 2, 7th September [SO/DT] - 2, 14th September [DT] - 2, 11th October [DT] - 1, 22nd October [DT] - 3, 11th November [DT]. Noted on 37 dates (16 in spring and 21 in autumn). At least 67 birds are involved. Spring passage noted from 23rd February – 25th May with a daily maximum of 6 on 9th March [AL/QD/DT/PR]. Recorded in autumn from 26th July – 20th November with a daily maximum of 6 on 11th November [DT]. 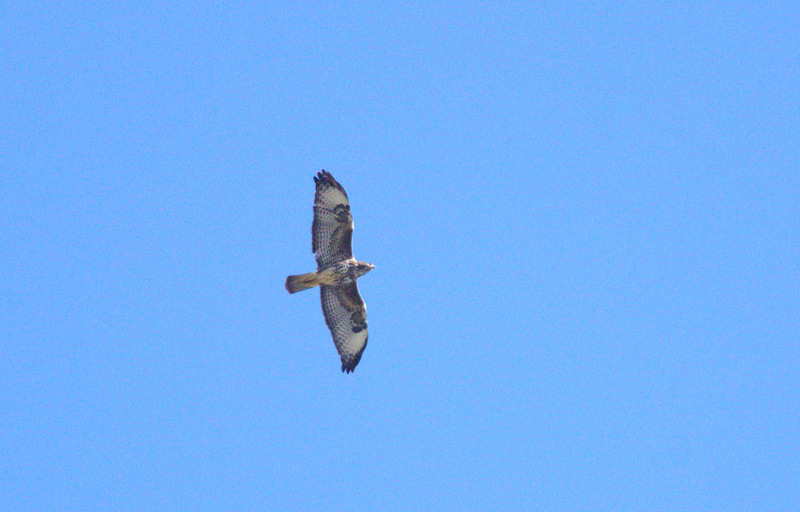 Observed migrating over the park on 25 dates (6 in spring and 19 in autumn). At least 59 birds are involved. Individuals landing on site were noted on two occasions in autumn, on 2nd September [OL] and 13th September [DT]. 1, 11th May - 2, 17th May - 2, 18th May - 1, 23rd May - 2, 25th May - 1, 8th June. 1, 2nd August - 5, 9th August - 1, 11th August - 2, 14th August - 3, 15th August - 2, 16th August - 1, 18th August - 2, 20th August - 2, 21st August - 6, 23rd August - 3, 24th August - 6, 30th August - 7, 31st August - 1, 2nd September - 1, 7th September - 2, 8th September - 3, 13th September - 1, 14th September - 1, 21st September. 9 unidentified larger raptors were observed on 8 dates (3 in spring and 5 in autumn). Recorded almost daily (usually 1-3 individuals) throughout the year. Breeding confirmed with the begging calls of juveniles heard from the Bois du Bordure (2nd August [PR/DT]). In spring and (especially) autumn small numbers occasionally noted migrating during skywatches. Breeding in the immediate vicinity of the park, 1-3 birds (usually 1) noted almost daily. Although the vast majority of sightings refer to local birds, some were apparently in active migration; particularly noteworthy was the passage of at least 6 birds south on 21st September [DT]. Up to 3 birds observed occasionally in spring, summer and autumn. First recorded in spring on 19th April [DT]. Noted on 8 further dates up to and including the 25th May. Observed quite frequently in autumn from 2nd August. As in 2013 a lone individual noted flying northwest in the early mornings around the third week of August. 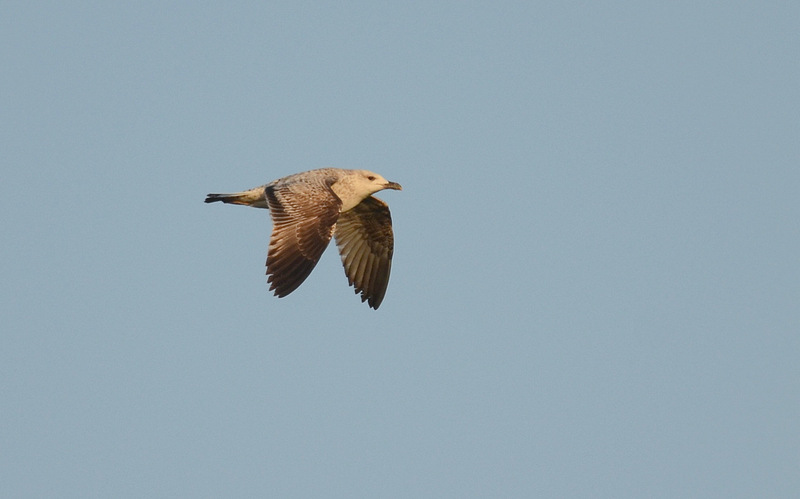 At 08h45 on 21st August an individual noted flying east carrying prey (probably a Common Swift) [DT]. Last autumn sighting on 14th September [DT]. The presence of breeding birds in and around Paris has made the species less of a rarity. Recorded on 12 dates: 1, 23rd February [DT] - 1, 5th March [PR] - 1, 3rd & 25th May [DT] - 1, 9th August [DT] - 1, 4th September [PR] - 1, 14th September [PR/DT] - 1, 21st September [DT] - 1, 12th & 19th October [DT] - 1, 1st November [JA/DT] - 1, 2nd November [DT]. Observed twice in active migration; once in spring and once in autumn. Breeding confirmed at both ponds: chicks first observed at the Mare Perchée on 21st May [RP], and at the Mare de Brie on 25th May [DT]. A pair at the Mare de Brie produced a second brood; 2 recently fledged chicks observed there on 12th July [PR]. Unfortunately the healthy population of rats at the Mare Perchée continues unabated and is probably responsible for the loss of fledglings each year. 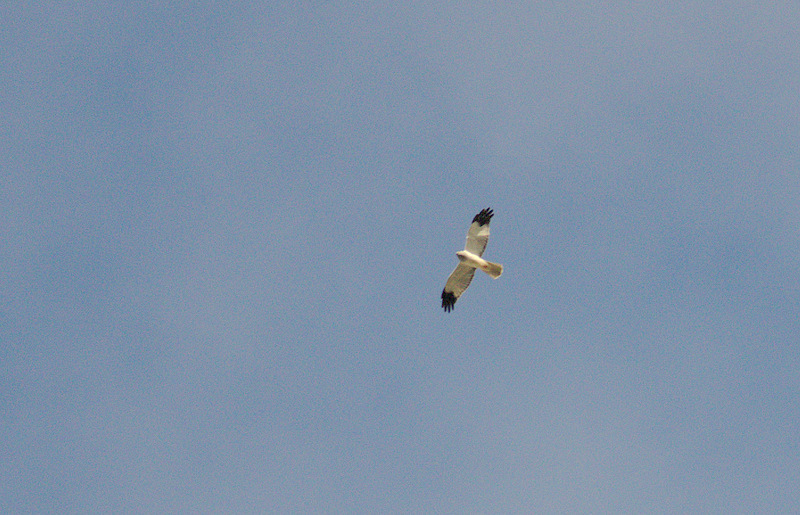 Seen flying over the park on 8 dates (3 in spring and 5 in autumn). C445, 23rd February [DT] - 60, 9th March [DT/PR] - 22, 16th March [PR]. 310, 12th October [DT] - 79, 26th October [DT] - 84, 1st November [JA/PR/DT] - 364, 11th November [DT] - 12, 20th November [PR]. A good year – noted almost as often as the preceding species. 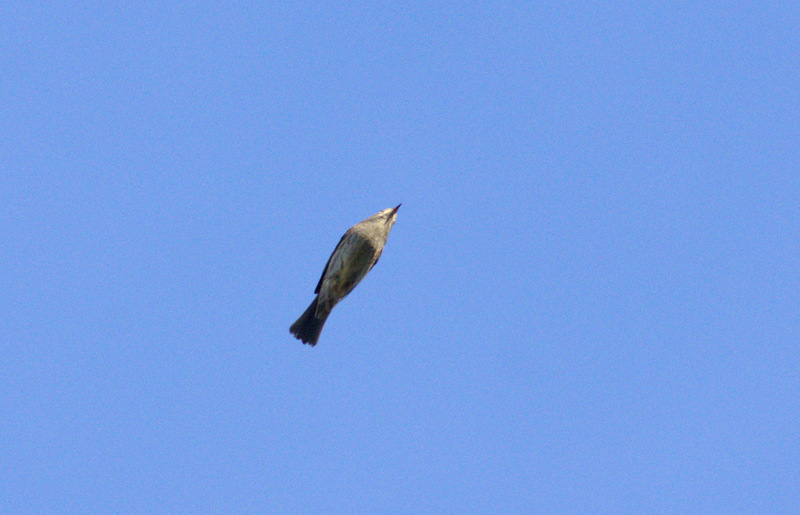 Seen flying over the park on 7 dates (1 in spring and 6 in autumn). 9, 23rd October [AL/PR/DT] - 25, 24th October [PR/DT] - 18, 2nd November [AL/PR/DT] - 10, 8th November [PR/DT] - 2, 10th November [PR] - 42, 11th November [DT]. 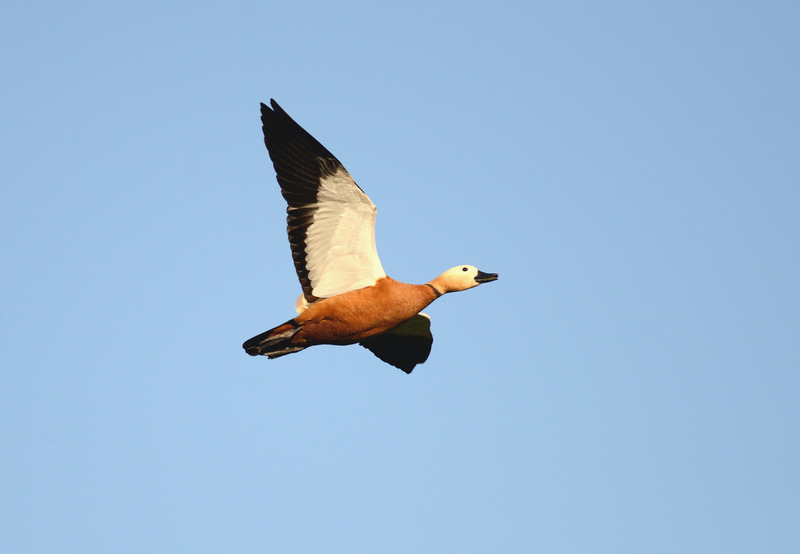 The birds flew high to the south early in the morning – the first record for Beaumonts. Observed twice in late autumn. 1, 8th November [DT] - 1, 25th November [PR]. Low numbers (generally 1-10 birds) observed flying over the park almost daily in winter, early spring and autumn. Uncommon and almost absent from early May – late August. During March and September, small groups noted flying northwards in the early mornings [DT]. Uncommon in all seasons – noted twice in late autumn. 1, 28th October [PR] - 1, 1st November [DT]. Probably under-recorded due to difficulties with the identification of large gulls. Although observed less frequently than the preceding species, 2014 was a good year with an increase in records. Noted on 17 dates (once in winter, 13 in spring and 3 in autumn), the majority (65%) occurring in May. The spring birds, noted flying east of northeast, were possibly on their way to the commune of Lesches (77) where up to 300 birds were present at this period*, an area lying some 36km (as the gull flies) from Beaumonts. Fairly common - reported in small numbers in winter, spring and autumn. Autumn migration was notable on 31st August when at least 94 birds flew south west in flocks during the afternoon [PR/DT]. Recorded on 3 dates (twice in spring and once in autumn). 1, 19th April [PR/DT] - 1, 19th May [DT] - 1, 13th August [DT]. A reasonably common non-breeding resident. Observed fairly regularly flying over the park throughout the year in low numbers (usually 1-6 birds). As usual small groups sometimes noted flying eastwards in spring (especially February/March). Breeding possible but unconfirmed (noted landing on site and displaying over the Bois de Bordure during April [DT]). Common breeding resident – seen daily. Small numbers on site supplemented by local movements of birds flying over the park in diverse directions. In general birds fly to the northeast in the mornings and are seen returning southwest towards Paris later in the afternoons. Flocks in active migration noted from 12th October – 11th November, with a maximum of 408 on 11th November [DT]. Migrating flocks in autumn characterised by being denser than those of local birds and by using a different flight path (north-south axis). Fairly common resident. 1-2 birds regularly observed in flight or (rarely) perched in trees at the Mare Perchée or inside the recycling plant. Unusually a flock of 5 birds noted flying southwest on 2 dates in November [DT]. Uncommon migrant. Recorded on 3 dates (2 in spring and 1 in autumn, as was the case in 2013). 2, 1st May [DT] - 1, 8th May [DT]. The (unseen) individual on 8th May was recorded singing from a tree in the Savanna early in the morning. The bird flew slowly east over the park, early in the morning. Rather rare and irregular at Beaumonts, perhaps under-recorded. The bird was heard calling just before daybreak, from trees lining the entrance path behind the college. First spring arrival noted on 17th April [DT]. As was the case in 2013, rather fewer birds around the site in general, with no more than about 100 birds noted in June and July. Active migrants in autumn noted from 26th July – 6th September, with up to 119 birds noted flying south during the afternoon of 3rd August. Last recorded on 6th September [DT]. Reasonably common resident, perhaps breeding inside the park for the first time (although this unconfirmed). Single birds and/or small flocks of up to around 20 birds seen or heard regularly throughout the year flying noisily over the park, presumably to and from breeding colonies at Parc Montreau and Roissy. There has been an increase in the number of birds landing and feeding on site. The bird was initially seen and heard as it flew over the Savanna; it was relocated later in the morning, perched high in trees along the entrance path behind Jean Moulin college. A discreet and rather uncommon resident, probably breeding on site. Single birds observed irregularly in spring, autumn and winter. Breeding possible but unconfirmed: a pair noted at a site in the Parc Mabille from 23rd March-12th April, the male observed drumming there. However no subsequent sightings until 11th September. Very uncommon passage migrant. Recorded on 3 dates in early autumn. 1, 30-31st August [DT] - 1, 5th September [PR]. Reasonably common passage migrant in spring and (especially) autumn; seen or heard flying high over the park. Few observations in spring: 1-4 birds noted on just 3 dates between 9th March – 3rd May. Recorded regularly in autumn from 4th October – 21st November with a daily maximum of 793 on 18th October [DT]. Noted just once in spring, a bird landing at the Compost in the late afternoon of 6th March [AL]. Recorded on 11 dates in autumn from 4th October – 11th November with a daily maximum of 44 on 12th October [AM/PT/PP/DT]. In spring 1-7 birds noted on 7 dates from 5th April – 15th May. Small numbers observed on 5 dates in autumn from 9th August – 13th September. First recorded in spring on 5th April [PR/DT]. Up to 20 birds noted regularly up to 25th May. Autumn migrants noted regularly from 14th August – 28th October [PR] with a daily maximum of 55 on 7th September [SO/PR/DT]. First recorded on 12th April [PM/PR/DT]. In spring up to 34 birds noted regularly up to 18th May. Observed almost daily during August (up to about about 20 birds around the antenna-building, as has been the case in previous years). Noted just twice during October. As in 2013, the last sighting was on 18th October [DT]. Observed in spring from 12th March – 23rd April, with a maximum of 47 on 13th April. Absent in summer. First noted in autumn on 16th September. Small numbers observed regularly thereafter until 11th November with a peak of 64 on 18th October [PP/DT]. First recorded in spring on 14th April. Small numbers (1-4 birds) noted irregularly thereafter up to and including the 20th May. Absent in summer. Recorded in autumn from 16th August, with small numbers noted up to 27th September. As in previous years A.trivialis was observed relatively late in autumn, with singles on site on 11th October [DT] and 16th October [PM]. Easily the bird of the year, this was a first for the region Ile-de France. Found early in the morning the bird was flushed from long grass at the Compost into a small tree, low down and just a few metres from the observer. It remained stationary and in full view for roughly a minute before flying off, unfortunately never to be seen again. The record has been accepted by the French Rarities Committee (CHN). Uncommon passage migrant, probably under-recorded. 1, 12th October [PP/DT] - 1, 11th November [DT]. First reported in spring on 6th March. Small numbers noted fairly regularly thereafter until 19th April, with a maximum of 22 on 12th March. Absent in summer. Noted regularly in autumn from 15th September – 1st November, with a daily maximum of 38 on 12th October [AM/PT/PP/DT]. Passage migrant noted flying over the park in spring and autumn. First reported in spring on 29th March [DT]. Up to 6 birds noted on 10 further dates up to and including the 16th May. 1-3 birds recorded on 9 dates in autumn from 19th August – 13th September. As usual observed mainly during the second half of the year. Recorded on 13th March [DT] but no sightings thereafter until 20th August. From this date onwards 1-2 birds seen almost daily until late November, sometimes feeding at the Mare Perchee, but usually flying back and forth between it and the nearby recycling plant on the edge of the park. Contrary to previous years, almost no active migration apparent during September (singles on 5th and 9th [DT]). Common breeding resident – 1-4 birds seen almost daily. Like the preceding species, discreet during the breeding season. Juvenile noted at the Mare Perchée on 29th April [DT]. Daily totals bolstered in early spring and autumn by migrants (for example, 8+ on 26th October [JA/DT]). A better year than last; breeding possible but unconfirmed. First recorded in spring on 14th April [PR]. At least 3 singing birds on site on 20th April [DT]. At the Mare de Brie a singing male present daily from mid-April – 17th May [AL/OL/PR/DT]. Not recorded in summer (18th May-18th August). As usual, passage migrants observed occasionally in early autumn: 1, 18th August [DT] - 1, 21st August [PR] - 1, 24th August [DT] - 1, 6th September [PR/DT]. Rather irregular and uncommon migrant. Absent during the summer (although breeding in the immediate vicinity of the park). 1-2 birds noted on 10 dates (3 in spring and 7 in autumn). 1, 13th March [DT] - 1, 16th March [PR] - 1, 20th March [DT]. 1, 11th September [DT] - 2, 28th September [PR] - 2, 19th October [JA/DT] - 1, 31st October [DT] - 1, 2nd November [PR/DT] - 1, 5th November [PR]- 2, 24th November [PR]. Not recorded in spring this year. 1-3 birds noted on 9 dates in autumn, from 24th August – 17th September. Uncommon migrant - observed on 3 dates (once in spring and twice in autumn). 1, 8th September [DT] - 1, 14th September [PR]. 1-2 birds observed on 7 dates in autumn, from 1st September – 17th September. 1, 1st September [DT] - 1, 2nd September [OL/RP] - 1-2, 4th September [PR/DT] - 1, 5th September [PR] - 1, 6th September [PR/DT] - 1, 8th September [OL/PR] - 1, 17th September [PR]. Uncommon but regular passage migrant. Noted on 9 dates in spring. 1, 28th March [DT] - 2, 3rd & 4th April [DT] - 2, 6th April [PR/DT] - 1, 10th & 17th April [DT] - 3, 18th & 22nd April [DT] - 6, 24th April [DT]. Common breeding resident. Small numbers (usually 1-5 birds) seen daily. Higher daily totals noted sometimes in late autumn and winter (for example, 15 on 9th December [PR]). Rather uncommon migrant in spring, late autumn and winter. Noted on only 4 dates (3 in spring and 1 in autumn). Rather discreet but common breeding resident. 1-5 birds usually seen or heard daily. Passage migrants increase numbers in spring and autumn. Active migration in spring noted from 10th March – 18th April with a daily maximum of 63 on 29th March [PR/DT]. Return passage observed regularly from 24th September – 11th November, with a maximum of 175 on 4th October [CG/DT]. Up to 7 birds present at the beginning of the year, even heard singing discreetly on 3rd January [PR]. Spring migrants flying north noted from 6th March – 6th April, with a daily maximum of 37 on 4th April [DT]. First observed in autumn on 19th October [DT]. Migration noted thereafter up to 9th November with a maximum of 18 on 23rd October [AL/PR/DT]. Recorded once in December (the 6th) [PR]. Reasonably common resident with 1-3 birds seen almost daily in early spring, autumn and (especially) winter. Breeding probable either in or very close to the park. Very discreet and seldomly observed in late spring and summer. Recorded only once between 24th May- 20th September; on this occasion (June 12th) an adult was observed carrying food [DT]. As usual, small numbers observed on migration: in spring 2 noted on 26th February [DT]. Visible migration in autumn much more apparent than in previous years: birds flying high to the south noted on 8 dates from 24th September – 9th November with a maximum of 24 on 19th October [JA/PP/DT]. Included in this total was a single group of 16 birds, by far the biggest flock ever seen at Beaumonts. Rare migrant. 1 observation in autumn. Another good year since the two ‘blanks’ in 2011 and 2012; breeding confirmed again at the Mare Perchee. First recorded in spring on 26th April, and 2 singing birds present on 8th May. A singing bird present daily at the Mare Perchée thereafter until the end of May. Adults feeding young (away from the reed bed) observed on 24th August [DT]. Up to 3 birds noted irregularly throughout September. Last recorded on 7th October [DT]. As was the case in 2013 the authorities refrained from cutting the reed bed in early spring, which undoubtedly benefits this species at Beaumonts. The singing bird at the end of May was initially quite confusing, so atypical was its song at times. 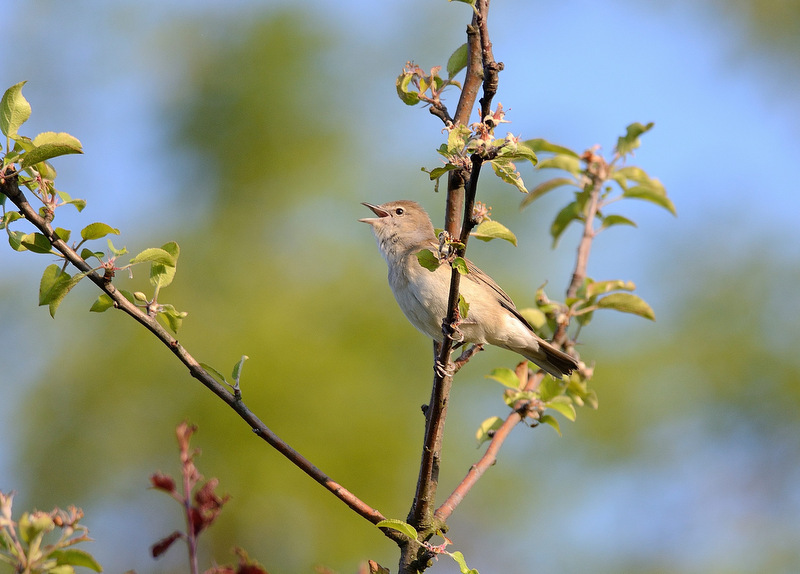 Quite possibly the same individual as in 2013, it was an exceptional mimic whose song evoked regularly that of Marsh Warbler (Acrocephalus palustris). This recording [DT] was posted on the website, and on the database ‘’Faune Ile-de-France’’. Usually a very uncommon (and silent) passage migrant, this was a good year with a singing bird at the Mare Perchée for 3 consecutive days in spring. 1, 12th April [PR/DT] - 1, 24th – 26th April [PR/DT]. The bird on 12th April, found early morning near the Mare de Milieu, was also singing, albeit very discreetly. This recording [DT] was posted on the website and the database "Faune Ile-de-France". Reasonably common summer visitor, breeding on site. 1-2 breeding pairs estimated. First reported in spring on 21st April [DT]. 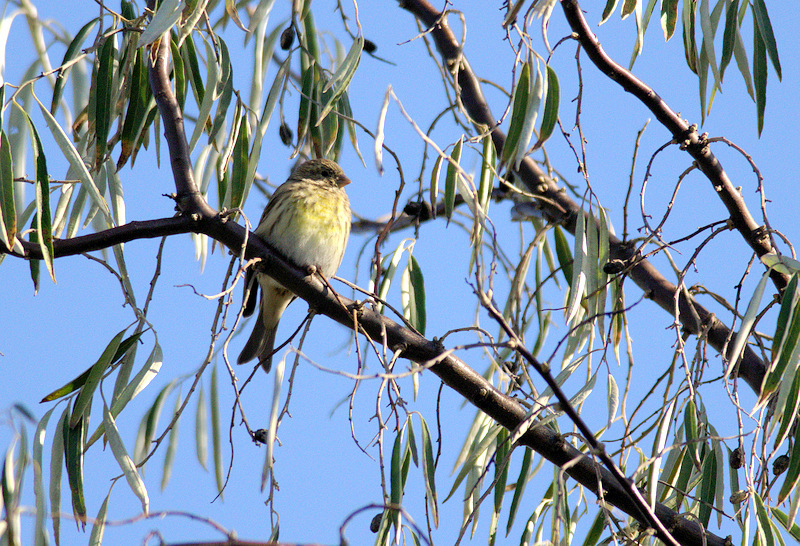 2 singing birds heard regularly in the Savanna from the 27th April through to mid-June. Discreet and seldomly observed in summer. 1-2 birds noted irregularly until 7th September. Common breeding summer visitor and passage migrant. 1-12 seen or heard almost daily. A male present in January, seen on four occasions feeding on mistletoe [PR]. Singles noted in spring from 16th February, with 3 on 14th March, and at least 10 on 29th March [PR]. Adult carrying food to young on 12th May [OL]. Up to around 30 birds (usually 1-15) noted in late August and September, with an apparent exodus during the night of 21st September [DT]. 1-2 birds seen thereafter, irregularly up to 25th October [DT]. Sadly now an uncommon non-breeding migrant. Not recorded in spring. Migrants noted on 3 dates in autumn. 1, 31st August [DT] - 1, 12th September [PR] - 1, 18th September [DT]. A reasonably common summer visitor, although in lower numbers than in previous years. 1-3 birds noted irregularly throughout the summer – breeding probable but unconfirmed. First reported in spring on 11th April [PR]. Last sighting on 15th September [DT]. Unfortunately no breeding pair for a second consecutive year. Migrants observed on 6 dates (3 in spring and 3 in autumn). 1, 8th May [DT] - 1, 11th May [DT] - 1, 12th May [OL]. 1, 25th & 26th & 28th August [DT]. The clearance of many small bushes and trees at the beginning of spring 2013 has had a negative impact on the well-being of this species in the park. The bird sang (in the rain) for a brief period from the tops of trees lining the entrance path behind the college. A rather uncommon non-breeding species observed irregularly in spring and autumn. First recorded in spring on 17th April [DT]. Singing birds noted on 4 further dates up to and including the 6th May. 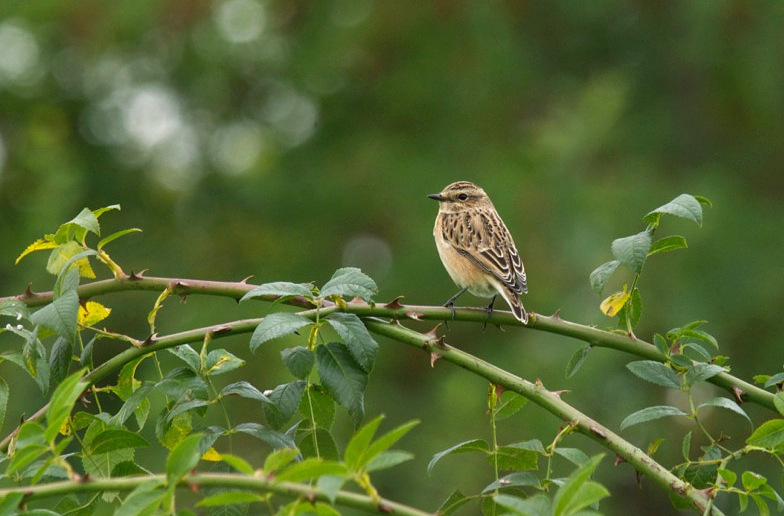 1-2 birds noted in autumn from 16th August – 18th September [PR]. Common summer visitor, seen daily. 1-2 birds present on site in winter at the beginning and end of the year of the year. First heard singing fully on 17th February [PR]. Thereafter generally 1-6 birds noted daily throughout the spring and summer. Adult observed carrying food on 3rd August [DT]. Higher numbers occasionally noted in autumn (for example, c25 on 11th October [DT]). Rather uncommon resident – breeding unconfirmed. Small numbers (1-6 birds) at the beginning and the end of the year. Not reported from 19th March – 4th November. Present on site at the beginning of the year. As usual, singing male observed in early March. Not recorded between 17th March – 17th August. 1-3 birds noted fairly regularly in autumn and winter, from 17th August to the end of the year. At least 8 birds on site on 13th September [DT]. Rather uncommon but regular passage migrant. Observed on 11 dates in autumn. 1, 16th August [DT] - 1, 21nd August [PR] - 1, 22nd-24th August [DT] - 1, 26th -27th August [DT] - 1, 30th August [PR/DT] - 1, 2nd September [OL] - 1, 8th September [PR] - 1, 14th September [DT]. Fairly uncommon but regular passage migrant. 1-4 birds recorded on 12 dates in autumn. 1, 11th & 16th & 23rd & 31st August [DT] - 1, 2nd September [OL] - 4, 5th September [PR] - 3+, 6th September [PR/DT] - 1, 8th September [DT] - 1, 14th & 17th – 18th September [DT] - 1, 28th September [PR]. Scarce winter visitor and passage migrant. Observed once in autumn. Very uncommon. Recorded twice in autumn. 1, 31st August [DT] - 1, 5th November [PR]. Uncommon resident. A good year with 1-2 birds seen or heard fairly regularly at the beginning and end of the year. Breeding probable but not confirmed. 1 or 2 birds noted on several occasions at the same site during May [DT]. Fairly common breeding resident. Usually up to around 12 birds seen irregularly throughout the year (although 25 noted on 9th December [PR]). Adults and juveniles observed at the Mare de Milieu on 1st May [DT]. True to form, a caudatus was either very discreet or absent for a period in summer (no records between 20th May – 6th September). 1, 8th January [PR] - 1, 23rd January [PR] - 1, 14th March [PR] - 1, 31st March [OL]. Fairly common breeding resident (at least 2 pairs estimated). Singletons observed regularly throughout the year. Adults feeding juveniles (at least 4 birds) were observed in the Parc Mabille on 17th and 18th May [DT]. Between 40-50 birds regularly feeding on the newly-cleared Savanna during November. Uncommon - recorded on 5 dates (3 in spring and 2 in autumn). 4, 7th March [DT] - 3, 28th March [DT] - 4, 3rd April [DT]. 2, 27th October [OL] - 2, 10th November [PR]. A rather uncommon migrant. Records typically involve small, loose groups of less than 10 birds flying purposefully overhead. Noted on 17 dates (10 in spring and 7 in autumn). 3, 24th February [DT] - 2, 4th March [DT] - 1, 19th March [PR] - 1, 28th March [DT] - 1, 5th April [PR/DT] - 1, 11th April [DT] - 2, 13th April [PR/DT] - 1, 20th April [PR/DT] - 2, 1st May [DT] - 1, 2nd May [DT]. 3, 19th October [DT] - 3, 26th October [PR/DT] - 9, 28th October [PR] - 3, 31st October [PR/DT] - 6, 1st November [JA/DT] - 1, 2nd November [PR/DT] - 2, 10th November [PR]. Common breeding resident. Usually between 1-10 birds noted daily. Larger numbers occasionally present (for example, a flock of 35 on a nearby building on 22nd February, and a similarly-sized group in the Savanna on 23rd October [DT]). Common resident, breeding inside the park. Small numbers observed daily. In autumn, notable increase in numbers on site around the middle of August [DT]. As usual, distant flocks sometimes observed associating with gliding raptors. For example, on 21st September a large group of about 170 birds closely followed a Sparrowhawk for several minutes [DT]. Up to 40 birds observed apparently migrating in spring, on 7 dates between 23rd February – 26th March. Up to 153 birds observed migrating in autumn on 15 dates, from 4th October – 24th November. Uncommon but regular passage migrant. A very good year with several birds in spring and a very rare autumn sighting. 1, 4th May [DT] - 1, 5th May [DT] - 1, 16th May [DT] - 1, 17th May [DT] - 1, 23rd May [DT]. The bird on 16th May was present on site at dawn, singing briefly from behind the college. A sound-recording was posted on the website and on the database “Faune Ile-de-France”. Fairly common resident breeding near the park; 1-4 birds seen daily (with effort). Fairly common in winter with small numbers seen daily. Discreet and rarely seen in summer (although singing heard regularly from April into July [PR]). Common passage migrant: in spring regularly noted flying northeast from 2nd February – 11th April, with a maximum of 301 on 12th March [DT]. Migration noted at the end of autumn, from 24th September – 24th November [PR], with a daily maximum of 668 on 18th October [PP/DT]. Uncommon but fairly regular winter visitor and passage migrant. Recorded once on site in winter; 1, 19th January [PR]. Migration noted in spring and autumn. In spring 1-2 birds on 7 dates from 17th February – 20th March. In autumn up to 7 birds noted on 8 dates from 11th October – 24th November. First recorded in spring on 11th March [DT]. Up to 17 birds noted fairly regularly up to 17th May. First recorded in autumn on 23rd September. Noted on 10 further dates up to and including the 10th November, with a maximum of 45 on 19th October [JA/PP/DT]. Birds flying over the park recorded on 2 dates (once in spring and once in autumn). Reasonably common resident, breeding in or near the park. Small numbers noted fairly regularly, although rarely seen in summer (no reports between 28th April – 18th September). Noted fairly regularly in winter – a flock of up to 24 birds present on site during November and December. Small numbers in active migration observed fairly regularly : in spring 1-7 birds from 10th March – 29th March, and in autumn noted on 6 dates from 12th October – 11th November, with a maximum of 18 on 19th October [JA/PP/DT]. Common resident breeding in or near the park. Usually 1-6 birds noted daily, although more discreet in summer. Larger numbers present on site at the end of the year – a rather large group noted regularly feeding in the Savanna with a maximum of 25 on 8th November [PR/DT]. Observed once in winter (7 on 19th January [PR]). In spring noted on just 4 dates; up to 18 birds from 10th-22nd March [DT]. Small numbers seen regularly in autumn from 12th October – 23rd November, with a maximum of 36 on 18th October [PP/DT]. Reasonably common resident with 1-2 breeding pairs estimated in or very near the park. Noted for the first time on 5th March [DT]. Singing male seen and heard regularly during the latter half of April into early May. Small group present on site in late autumn (maximum of 8 noted on 23rd October & 1st November [PR/DT]). Observed once in winter at the end of the year (2 on 30th December [RP]). A discreet but reasonably common resident, usually breeding inside the park (although not confirmed this year). 1-3 birds seen or heard fairly regularly, although not reported between 19th March – 9th August. An apparently bonded pair present at the Mare de Brie on 15th February, the male observed singing there on 22nd February [DT]. Rather uncommon and irregular winter visitor and passage migrant. Noted on 14 dates (once in winter, 4 in spring and 9 in autumn). 2, 24th & 29th April [DT] - 1, 1st & 23rd May [DT]. 3, 11th October [DT] - 2, 12th October [DT] - 2, 14th October [PR] - 1, 18th October [DT] - 7, 19th October [JA/DT] - 3, 26th October [DT] - 1, 28th October [PR] - 3, 1st November [JA/DT] - 1, 8th November [DT]. Uncommon and irregular migrant. Noted flying over the park once in late autumn. Rather uncommon and irregular winter visitor. Recorded fairly often in early spring and late autumn. First noted on 24th February [DT]; 1-3 birds seen regularly on migration thereafter up to and including 20th March. In autumn, small numbers noted regularly from 11th October – 11th November, with a maximum of 21 on 19th October [JA/PP/DT]. Uncommon migrant. Observed once in spring. The bird landed inside the park and called briefly from a small tree near the Cascade before continuing north.